Oulton Park is nestled in the rolling Cheshire countryside, and without doubt one of the nicest setting for a race circuit, but Oulton is one of the UK’s most testing circuits. Huge fast sweeping bends, tight cambered hairpins, tricky chicanes, roller-coaster undulations, and finally the kick up the backside up out of Deer Leap to deal with. Oulton is a busy circuit for the riders. However that means lots of overtaking. A well set up sweet handling bike is what you need here and Donington double winner last time out Dave Hampton with the little 450 single has that. He currently heads the 500 Open series and from his performances last year he likes this circuit. Dave splits his time between the 450 and a TZ250 in the National series. Two very different challenges but Dave looks up for it this term. 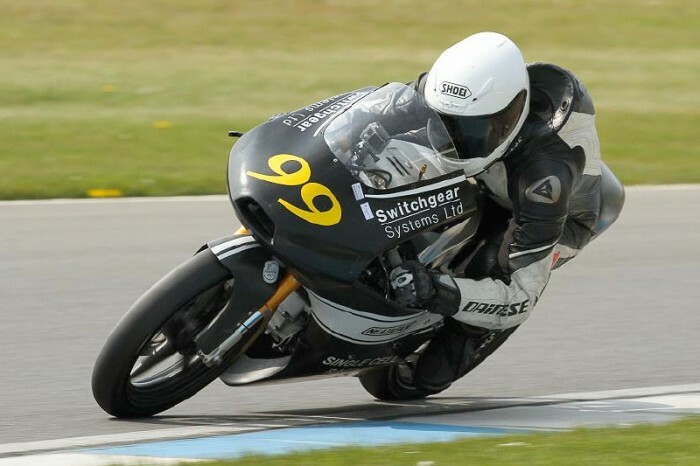 Josh Day heads the Open and 600’s on his R6 but Max Symonds in the 600 along with Roo Cotton, Chris Pope, Chris Barnes and David Irons in the Open will be looking to spoilt Josh’s party. Tim Bradley is against dominating the F400 class, but John Price and Ben Harrison are up for the fight. The Streetstocks classes this year are proving great viewing with Paul Jeffery, Richard Hughes, Jim Walker and Donington star Mark Dangerfield going elbow to elbow. With both National series under NG’s care now we can expect more two-stroke action than ever. Philip Atkinson, Ant Hodson and Dan Jackson and long with Rich Grinling, Dave Hampton and Bruce Dunn are the 250 top flight. Arnie Shelton showed everyone a clean pair of heals last time out and will be hoping for more points this here on his 125 RS Honda. Josh Day, set the fastest NG Road Racing lap here at Oulton back in July 2013 on his then mount, a ZX10R Kawasaki. He hustled the big ZX10 round in 1min 40.34 seconds….that’s an average speed of just over 96.5mph.